Australia and New Zealand have developed an international reputation for award-winning wines and on this Australia and New Zealand tour, you’ll visit many of the wine regions and tour some of the wineries. You’ll overnight in Melbourne, Adelaide, Sydney, Queenstown, Wellington, Napier, and Auckland, stopping first at the Great Barrier Reef (Cairns). 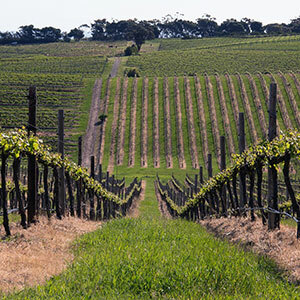 In Australia, visit the wine regions of Yarra Valley, with a cold climate perfect for high-quality grape growing; Barossa Valley, one of the world’s great wine growing areas; and Hunter Valley, home to over 120 wineries. Lunch at Rochford Wines (a special experience included by Globus) gives you an introduction to Australia’s wines. Also visit some of Australia’s most famous wineries, including Jacobs Creek; Seppeltsfield, famous as the world’s only winery to release a 100-year-old, single vintage wine each year; and McGuigan Wines, named International Winemaker of the Year for a record four times. In New Zealand, enjoy lunch at a winery on beautiful Waiheke Island and visit the Hawke’s Bay region, New Zealand’s second-largest wine region. In addition to wineries, this Australia and New Zealand tour also features a visit to Kangaroo Island, where you’ll see kangaroos, koalas, Australian sea lions, New Zealand fur seals, and stunning views. At Healesville Sanctuary, the best place to see Australia’s wildlife in their natural habitat, see wombats, kangaroos, dingoes, platypus, and more. In New Zealand’s Fiordland National Park, witness some of the world’s most breathtaking scenery of Milford Sound on your cruise. In Cairns, take a high-speed catamaran to the Great Barrier Reef, one of the Seven Natural Wonders of the World. There’s time to snorkel, take a semi-submersible watercraft tour, and attend a presentation by a marine biologist. All of this and much more-including a tasting tour at Adelaide’s thriving Central Market-await you on this marvelous tour through Australia and New Zealand.